We now have at our fingertips a number of devices with camera and video capability. Video conferencing, once a very expensive exercise and fraught with interference and disturbance is now a fast, efficient, cost effective means by which organisations are interviewing remote, regional, interstate or international candidates. The beauty for the jobseeker is the interview is located at “home-base”. That is, you can interview in the comfort of your loungeroom, study, kitchen or even in your own back yard! 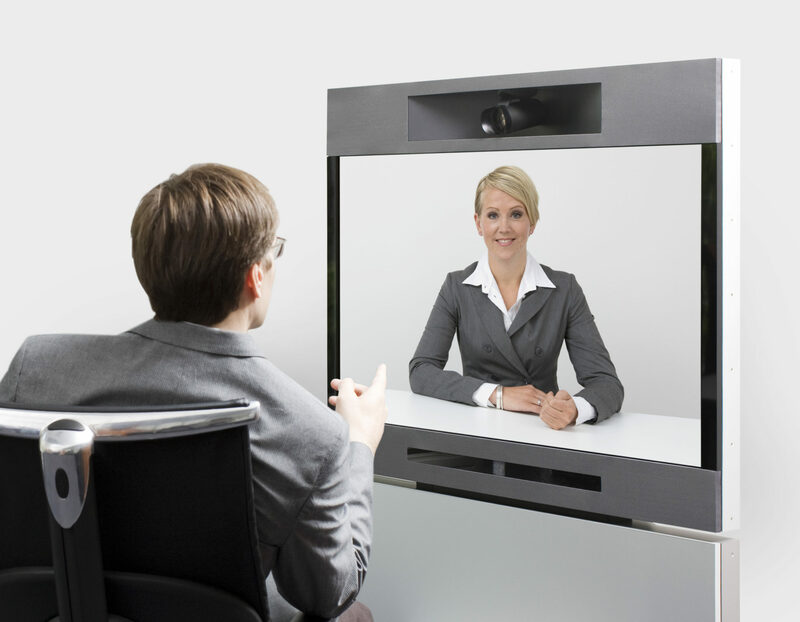 Here are seven tips to make your next Skype or Video-Conference Interview a success. Nothing will frustrate your interviewer more than you not being able to answer d based on a poor line. If you are making yourself available for video conference it is your responsibility to ensure you have a good line and good connection. Test it out with friends, family to ensure good connectivity is achieved. The same applies to microphone and camera settings. Many of us have our devices in high traffic areas. Interviews should, wherever possible, be conducted in quiet, distraction free areas of the house. Put yourself in an “office” or “interview” setting as would be expected if you went to the prospective employer’s premises. Both jobseeker and employer alike get distracted by moving images in the background so put yourself in a room, where the focus is clearly on you without the risk of someone disturbing you and/or the Interviewer. Again, if you want the Interviewer focusing on you, consider what you want and don’t want in the background of the video. I would suggest a wall behind you. An open room is like a window without a blind – it invites the viewer to explore. Consider if you want pictures or not have pictures behind you and the messages they portray. An interview at home does not excuse you from dressing up, as you would, for a face to face interview. Remember the employer will be interviewing a group of candidates and if you are the most casually presented compared to your peers you will be ranked accordingly. Although it feels a little “weird” to get dressed up, do it! It will do you huge favours in putting your best foot forward. Often interviews are conducted between time zones so ensure you have the correct timeslot in yours and your prospective employer’s location. I have had situations where candidates have said a certain time at their location equates to a certain time at my location. Just prior to calling I will check on World Clocks. It has saved making a call at 2am! It is always best to confirm your interview time in GMT (Greenwich Mean Time). For example Melbourne and Sydney are GMT + 10. Once your interview is confirmed be present at your Video Conference location five minutes prior and at least 15 minutes after the interview time is booked. We highly recommend a fall back telephone number if for some reason connection is not made. If the call does not come in within this time period, call your Interviewer to ensure all is going as planned. Australia is moving forward with its high speed national broadband network but there are still glitches. I find Skype may fall out for no apparent reason or the line may go from excellent to average in one breath. So with all the planning and testing there is margin for error. Having a contingency plan for such scenarios will ensure you have it covered. Bonus points for you!